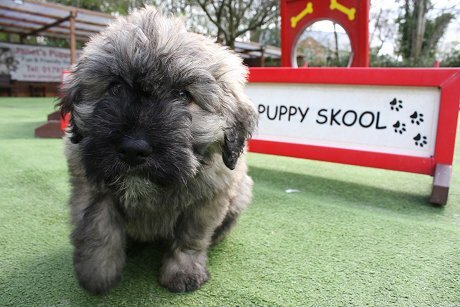 There's a new Head Girl at Janet's Puppy Skool! There's nothing like a new spring puppy to put a smile on your face. 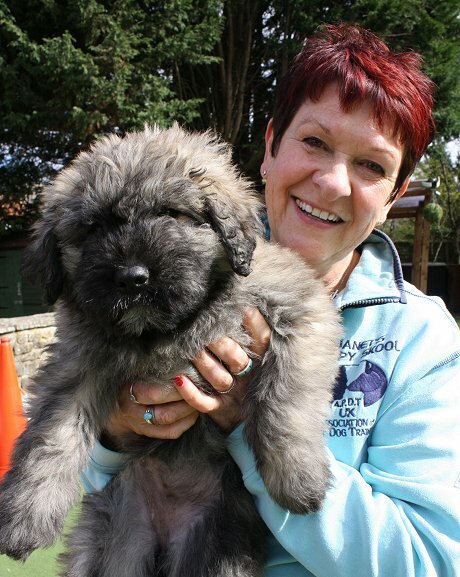 And at Janet's Puppy Skool in Haydon Wick, this little one - Maude - is doing more than that! 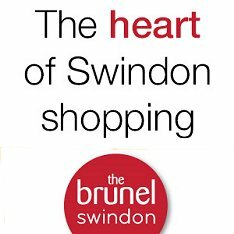 "She's amazing," said Janet Garret, who has run her dog training classes in Swindon for over 10 years, "and already the star of the show." "I get a lot of owners with puppies coming here for what we call lifeskills - which includes being able to go to the pub and coffee shop with your dog, as well as socialisation, getting used to all sorts of noise, wonderful recall skills and lots of confidence skills. "So it's great to have Maude here, so people can see how she's progressing too. Having a puppy around again makes it all so much more fun!" And after sadly losing two of her other Belgian-breed Bouvier des Flandres dogs last year, Riff & Gus, the arrival of Maude couldn't come at a better time. "Her official kennel name is 'Luik Just Meant To Be' and that's how we feel. 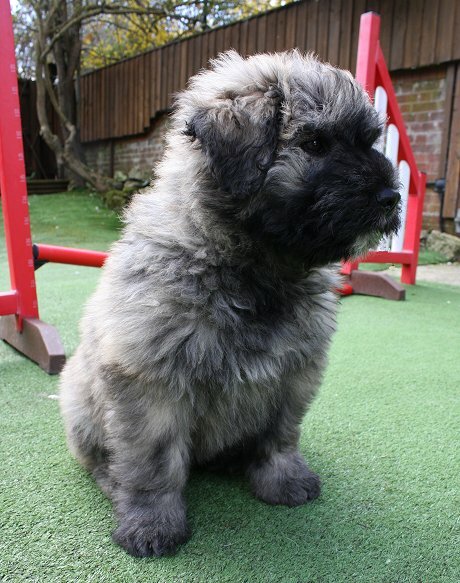 We also picked her up from her Irish Breeder on St. Patrick's Day, and as soon as she arrived immediately got on so well with our other Bouvier, Mack, like her home here was literally 'meant to be'. "She's definitely our new Head Girl!" 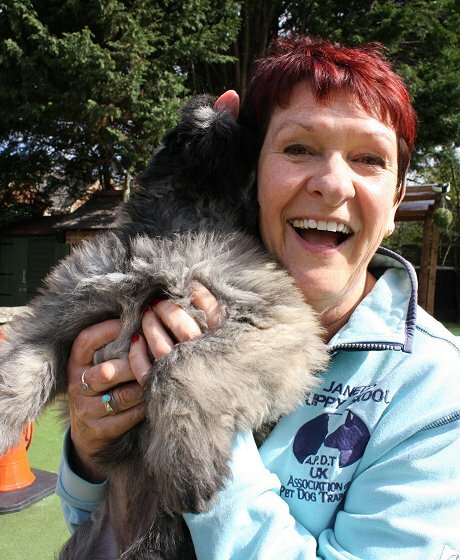 Janet's Puppy Skool is open all-year-round for training of all dogs, ages & sizes, with classes times & more information available via the website link below.